On Tuesday, January 22, 2019 the University through the Health Centre launched a state of art ambulance, which will aid in rapid response of emergency cases within the university and its environs. This will be a big boost to the Health Center which is a Level 3 medical facility and their mission of taking care of the USIU-Africa community with a focus on providing timely diagnostic, curative and preventive medical services to both the students and staff community. Speaking at the launch, the Principal Medical Officer Dr. Tasneem Yamani said the ambulance will help to handle all medical situations including advanced care for any cardiac issues. The ambulance is fitted with on board oxygen supply, storage for an assortment of lifting/carrying devices, a wheeled stretcher, external cardiac defibrillator, medical suction, first aid and trauma supplies and medical communications equipment. 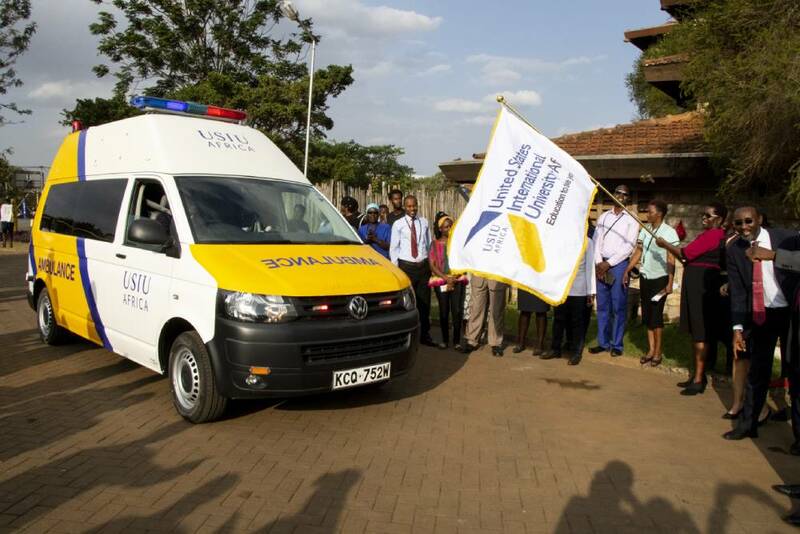 The Ambulance will play a vital role for the University as it aims to strengthen sense of community, inclusion, and responsibility by continuously improving the health services provided.